The Carolina Panthers have placed tight end Greg Olsen on injured reserve after he suffered a broken foot on Sunday. The Panthers’ 9-3 win over the Buffalo Bills this past week didn’t come without a cost. Pro Bowl tight end Greg Olsen left in the second quarter of Sunday’s game with a foot injury, which tests later revealed was a broken foot. Olsen immediately underwent surgery for the injury. Tuesday, it was reported that the Panthers will place Olsen on injured reserve. Assuming all goes well in recovery, Olsen has to be out at least eight weeks. That would make him able to return Week 12 against the New York Jets. Luckily for the Panthers, the injury isn’t season ending, but it’s a crushing blow nonetheless. Since joining the Panthers in 2011, Olsen has been one of the best tight ends in the league. He was the team’s leading receiver last season with 1,703 yards, which marked his third straight 1,000-yard receiving season, setting an NFL record for tight ends. With Olsen out, the Panthers offense is a worrying point. Having a tight end as your leading receiver is a concern in the first place, and with Olsen out, that’s even worse. Cam Newton will have to rely on Kelvin Benjamin and Devin Funchess to lead the offensive production. Olsen’s backup, Ed Dickson, will take over the starting role. Since joining the Panthers in 2014, Dickson hasn’t caught for over 134 yards. He’s a vet, but doesn’t even compare to Olsen from a production standpoint. The Panthers have put themselves in good position at 2-0, but the road doesn’t get easy in the next coming week. They host the Saints this Sunday, but are on the road the following two weeks against the Patriots and Lions. 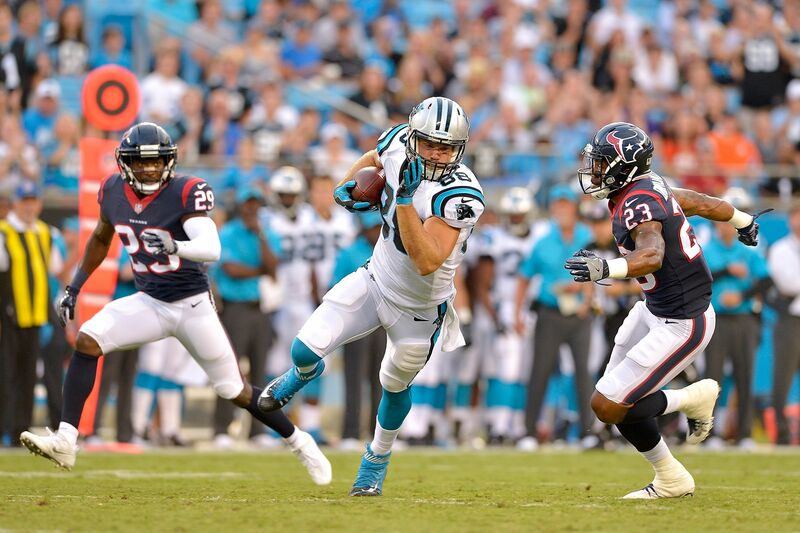 Olsen’s absence will be more than noticeable and the Panthers offense will struggle. It’ll be up to the former MVP Cam Newton to lead the way.